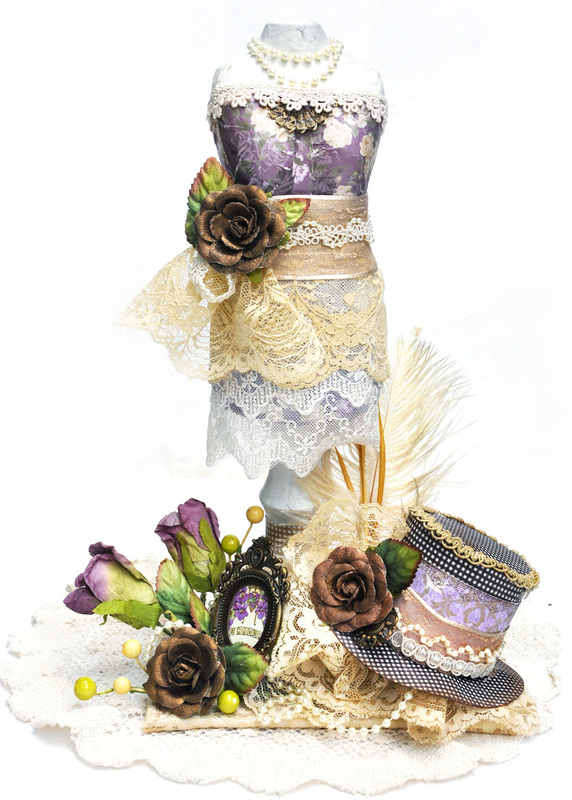 Hello Friends – Jennifer Snyder here today to share a few of my recent projects. 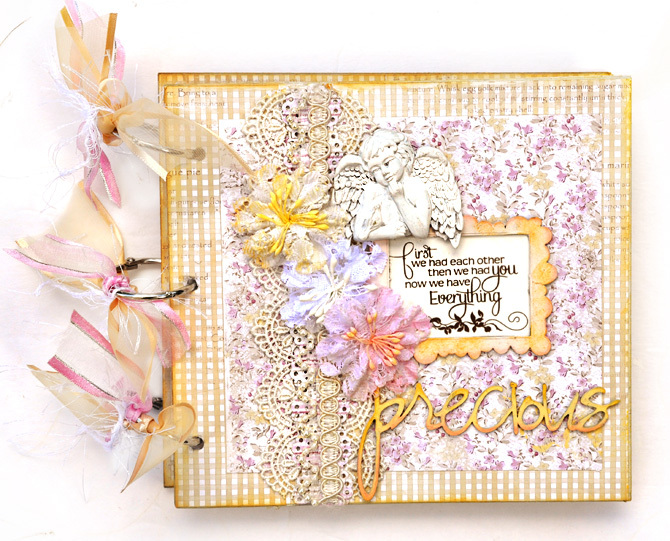 I’ll call it a grab bag because I have a variety of projects to share – an altered piece, a layout and a mini photo album. 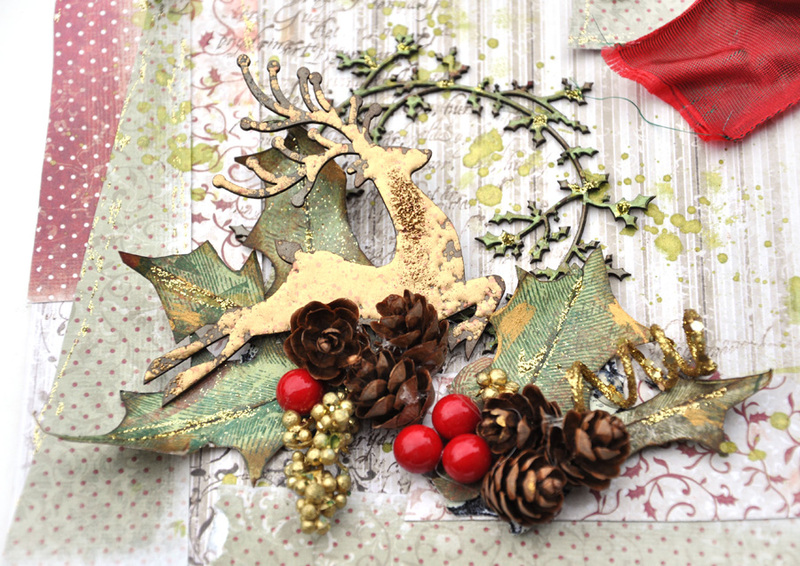 I make a few rare appearances on the blog because I am busy doing “behind the scenes” activities at Maja Design so I am very happy to show how I am using the amazing papers. 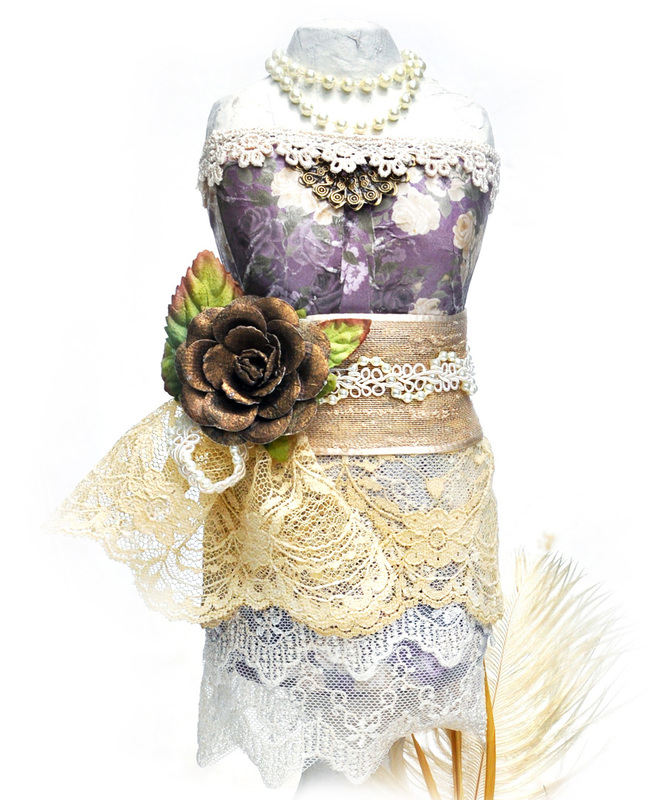 This first piece is a 13inch paper mache dress form I covered and decorated using Ska Vi Ta En Fika collection. The paper for the dress is , Tva Froknar, and the hat uses the most delicious paper, Kladkakka. 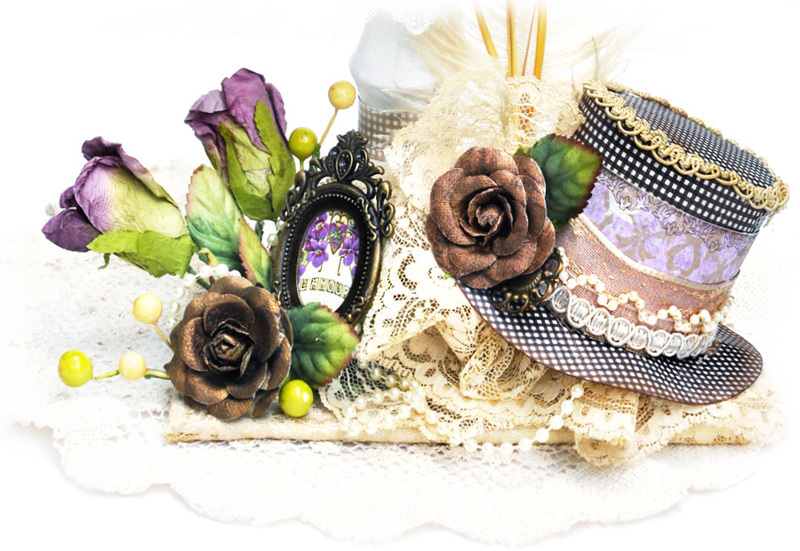 The hat pattern can be found at the Flying Unicorns , where I also obtained it. Here is a view of the dress before I altered it. In order to make the paper mold to the dress form, I misted the papers with water, then adhered to the dress form using Prima’s Art Basics Soft Matte Gel , by Finnabair. Once wet, the paper actually molds nicely. The large purple flowers are some older Prima flowers as are the brown ones. I created this piece from a sketch by Alda Stevens, at the Flying Unicorns. I have no idea why my mind is on Christmas, BUT it’s NEVER too soon, right? The holiday season sneaks up on all of us before we can blink. This piece does have a special home already. My co-worker is having an open house in her turn of the century 1900’s home for Christmas. She is going to hang it in her entranceway. I couldn’t be happier. 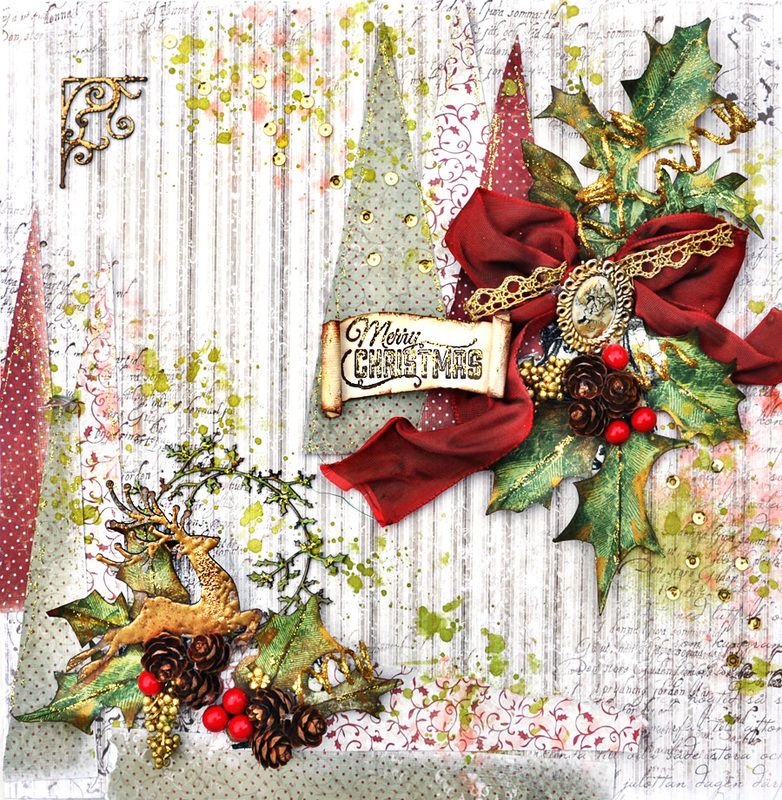 This was created using the Gammaldags Jul collection. 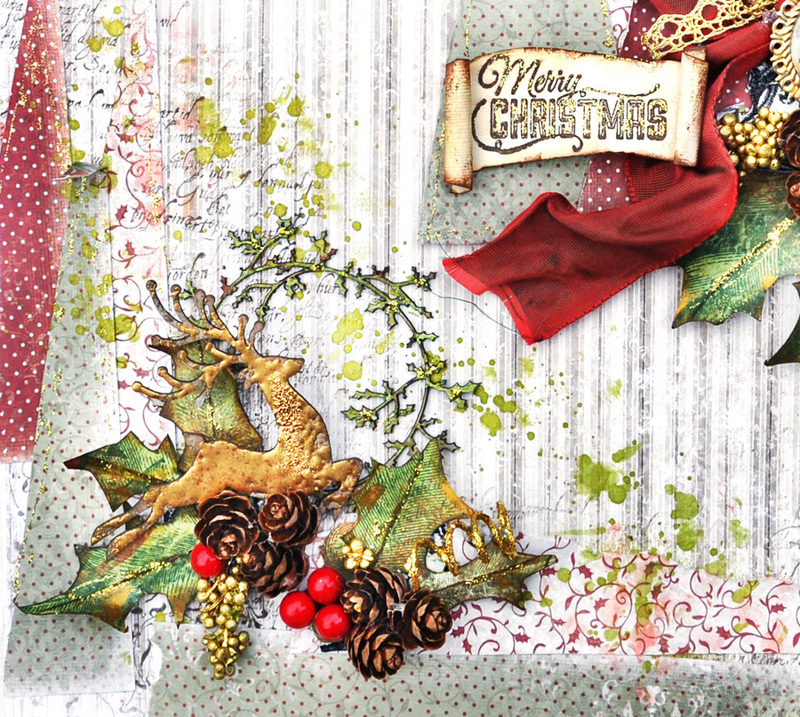 For me, this collection is traditional classic Christmas at it’s best! 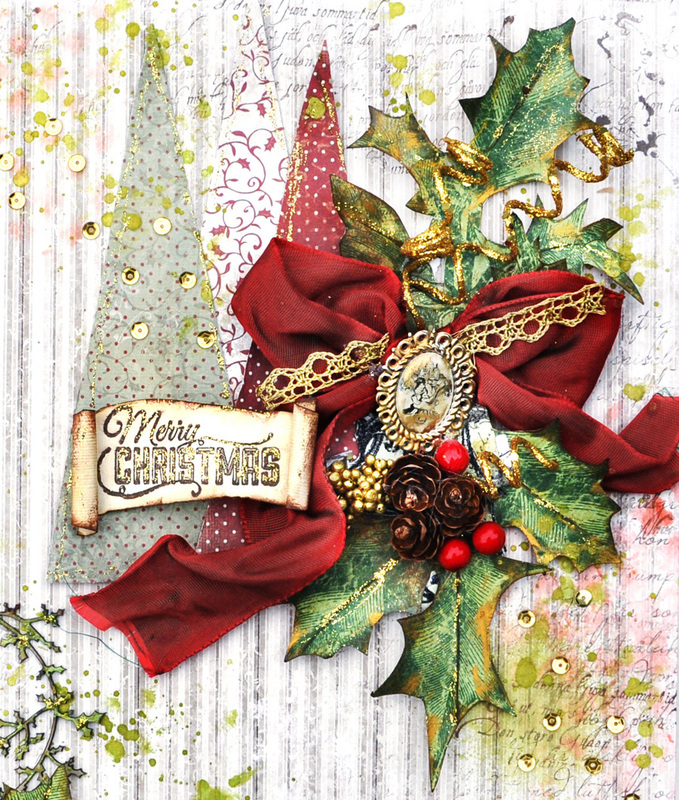 I used some chipboard by 2Crafty and mists by Prima. 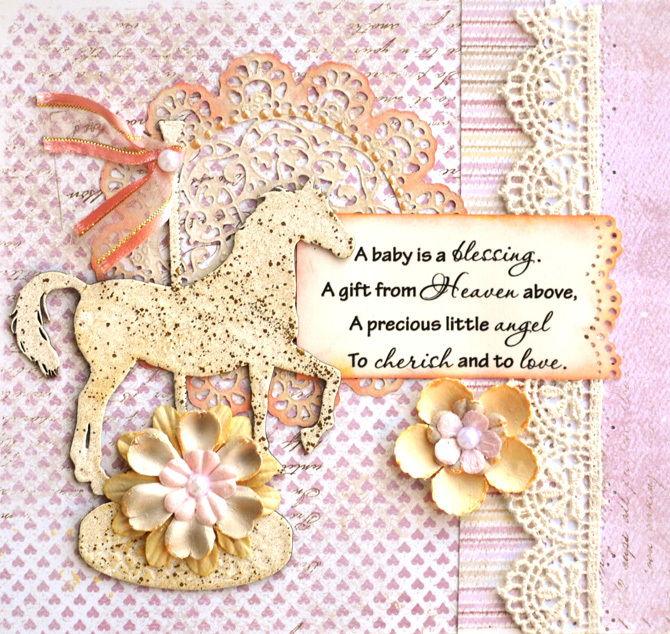 I created this for a special friend who is having her first child. With all those photos excited new parents take, they will most certainly need a brag book to pass around at every opportunity. 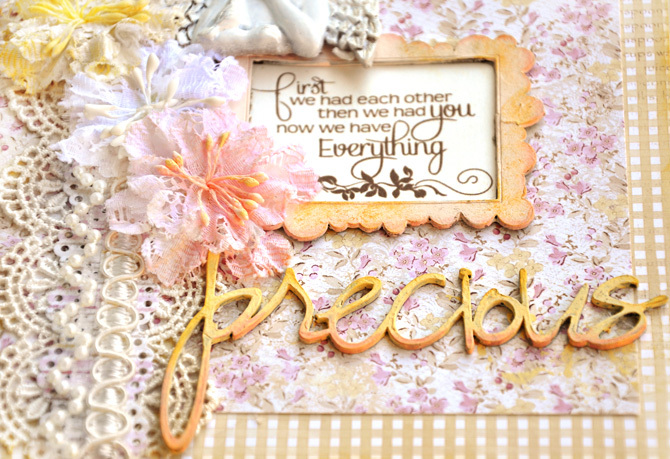 I used the warm comforting and beautiful collection from Coffee in the Arbour. This is the front of the photo album. You can see the small delicate print on the Maja papers. I loved that I did not necessarily need a 6×6 paper pad to make my 6×6 mini. The patterns are small enough for this purpose as well.